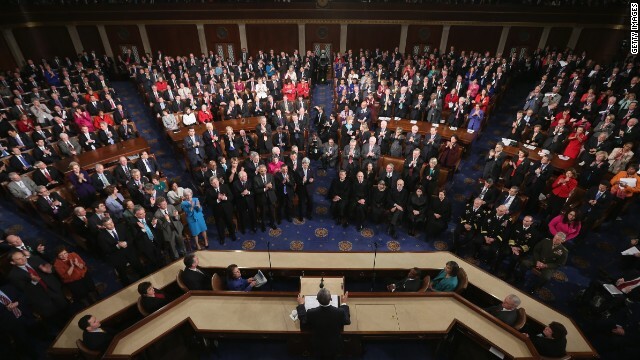 Get your daily scoop of what State of the Union is watching today, December 5, 2013. 1. Fixing the GOP's women problem. Burned in the last election cycle by candidates who made insensitive remarks regarding women, Republicans are taking no chances in 2014. The National Republican Congressional Committee is schooling aides to GOP lawmakers about to how talk to female candidates and constituents on the campaign trail. House Speaker John Boehner is also on the case. "Well I'm trying to get them to be a little bit more sensitive," Boehner said. "You know, you look around the Congress, there are a lot more females in the Democratic Congress than the Republican Congress. And some of our members just aren't as sensitive as they ought to be." 2. Fast food worker strike. Fast food workers in 100 cities walked off the job and onto picket lines to push for higher pay. The workers and their union allies are calling for a $15 hourly wage. The average pay for fast food employees is currently about $9.00 per hour. That's more than the federal minimum wage of $7.25 but still only amounts to $18,500 a year. That's $4,500 below the poverty level for a family of four. 3. Speaking of minimum wage, Mr. President. Can President Obama unilaterally raise the minimum wage? Progressive Democrats in Congress say he can, at least for some workers, with the stroke of his pen. They are asking him to sign an executive order raising the minimum wage for workers employed by private companies through federal contracts. "It's frustrating," Congressional Progressive Caucus co-chair Rep. Keith Ellison told the National Journal. "We know his heart is in the right place and he wants to do something, and this is something he can do." 4. Could Obamacare hurt Mitch McConnell in 2014? The Democratic governor of McConnell's home state Kentucky says maybe so. "I have a U.S. senator who keeps saying Kentuckians don't want this. Well, the facts don't prove that out," Gov. Steve Beshear said. "I think it will be an issue in next November's senate race in Kentucky as well as races all over the country... people are going to start looking at the critics and saying, what was all that yelling and screaming about?"